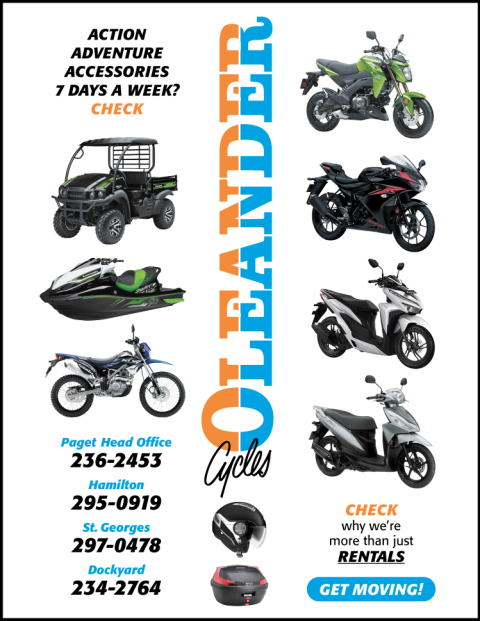 Oleander Cycles has established itself as one of the island’s top rental and retail cycle shops. We carry a fantastic range of motorcycles and accessories for you to choose from. Including Kawasaki Jet Skis! 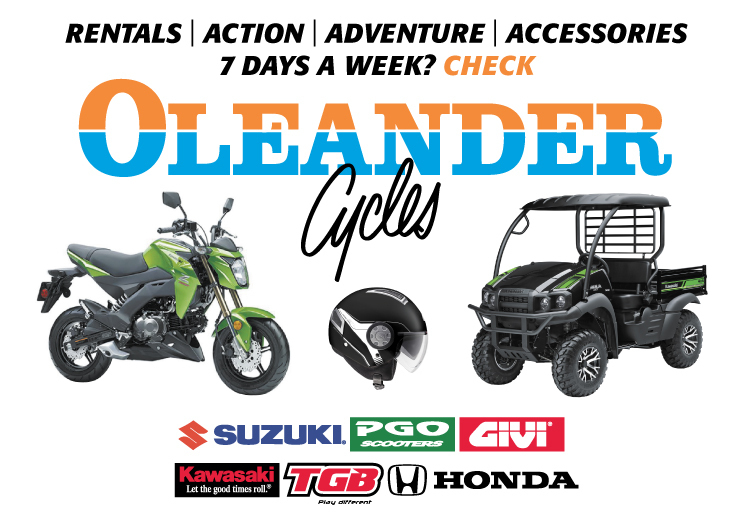 We have a large selection of accessories so stop by today and see for yourself why more people are moving to Oleander. Child Seats, Bike Covers etc.